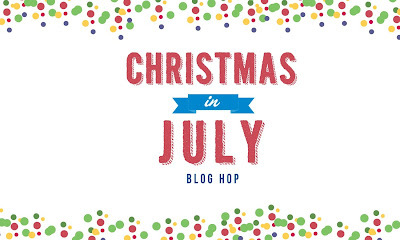 Magical Messes: Christmas in July Blog Hop! 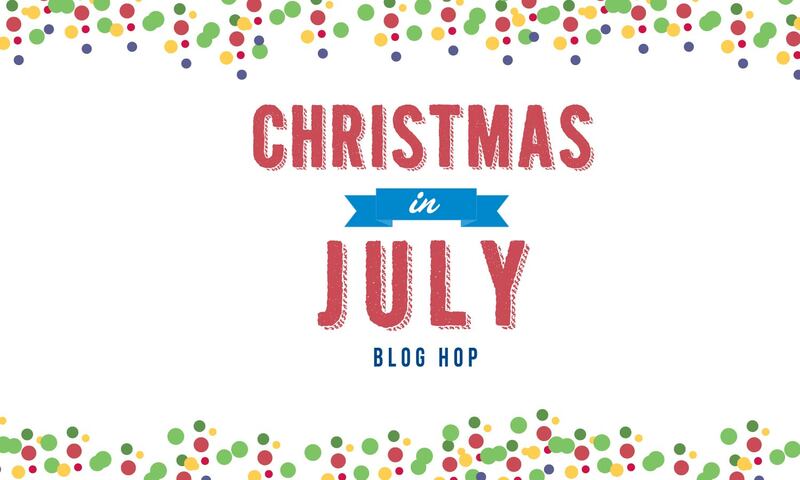 Welcome to my post of the Christmas in July Blog Hop! Thank you to Ruth for putting this all together. Teddy and I are so happy you are here! Today I have two pages to share with you. 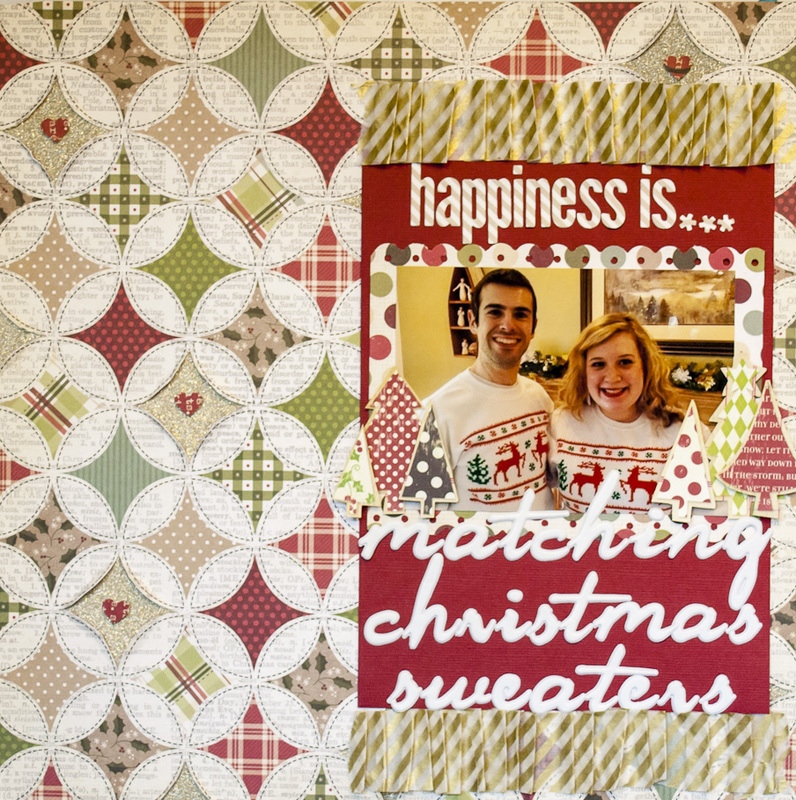 Before this blog hop, I had no interest in scrapbooking anything Christmas related. I returned to scrapbooking a little over a year ago after a several year hiatus. When I picked it up again, I realized that my style had completely changed. I no longer do journaling or anything theme related. Instead, I scrapbook based on my feelings and emotions. At this point in time, it is more of an artistic outlet for me than a way of keeping memories. 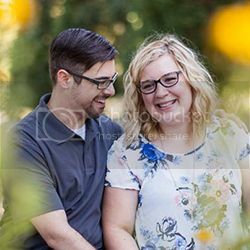 I do Project Life to keep track of all the day to day stuff. Anyways, all of that to say that this was quite the challenge for me. I started with a page that didn't use any Christmas papers or colors. Using mist on your pages is always a gamble, and this time I wasn't happy with the way they turned out. It could be worse though, and you win some, you lose some, right? Moving on! My next page is more of a traditional Christmas page. I love the Simple Stories Handmade Holiday line! 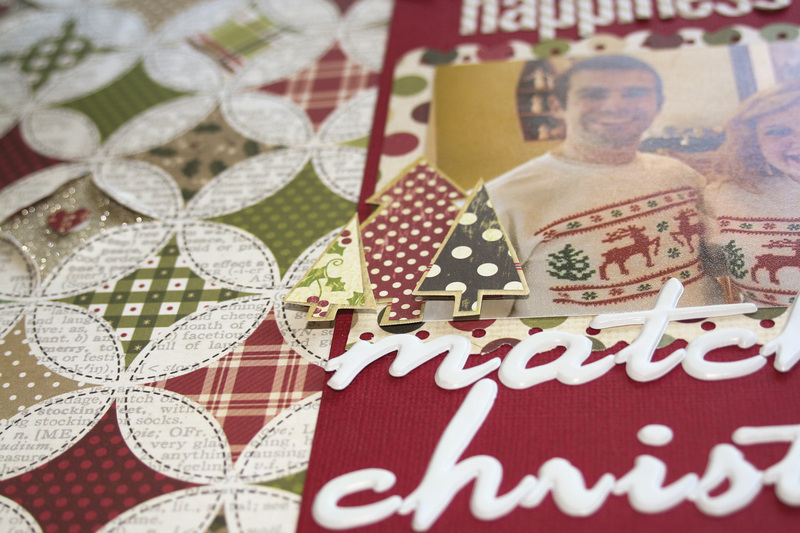 I tend to lean more towards Christmas papers that have traditional colors, just like this line. I loved that patterned paper so much, that I decided to use it as my background. I used an x-acto knife to cut out the centers of random circles, and then backed them with gold glitter POW! paper by American Crafts. I bent the edges I cut out and placed a punched heart in the middle with foam dots. To accent the picture a little more, I very sloppily cut out some trees from an old sheet of Making Memories patterned paper. I sure miss that company! And there you have it! Thank you so much for visiting my blog. I'd love it if you left a comment letting me know you stopped by. Stay tuned; later this week I will be doing a scrap space tour, followed by the scrapbooking rules everyone needs to break. The next blog in the hop is the lovely Cat from Decision Inspired. How beautiful is that altered book she did in the post before the hop? I can't wait to see what she comes up with for our Christmas challenge! 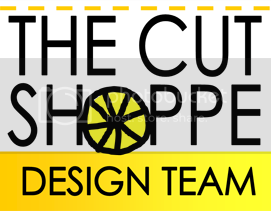 If you'd like to go back to the beginning and see all the blogs featured, please visit Ruth at We All Live in a Yellow Scrap Machine. Merry Christmas to you and yours! I love your pages Allie!! So awesome that you made a Christmas page with no Christmas product. I love your work, it's been fun to hop from my blog to yours, I'll definitely be back! Gorgeous pages! 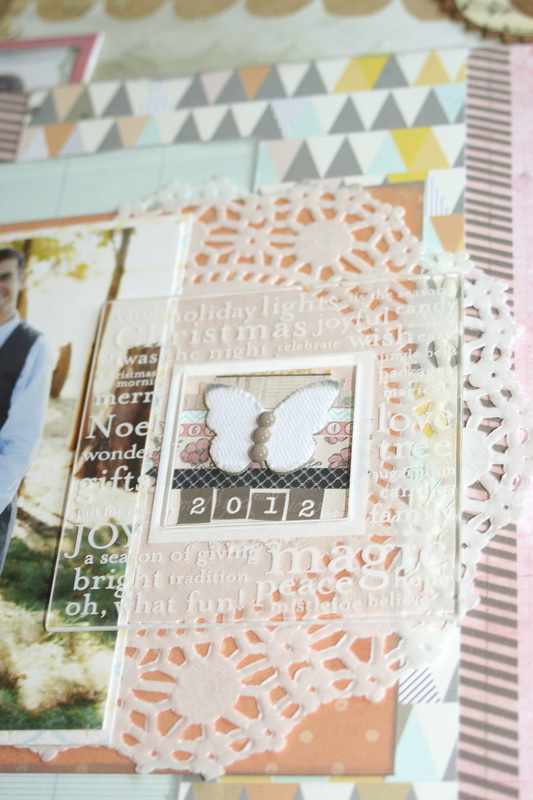 I especially love the way you cut into your background pp and backed it with POW glitter paper on the second one. 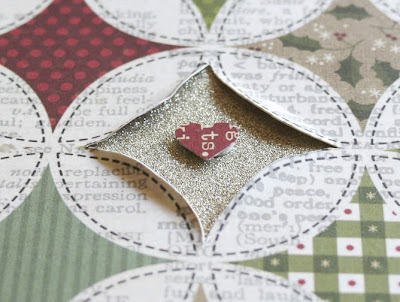 POW glitter paper is one of my favorite products, I might have to steal that idea. GORGEOUS pages!! I love all the great details and Teddy is so cute!! I love the foam dots in the circles and the glitter paper! Very pretty layouts. Love how u sed that old mm frame. And how you cut out the circles and used the pow paper. Cute stuff. gorgeous layouts Allie! love how you cut out random circles and backing with the gold glitter paper. 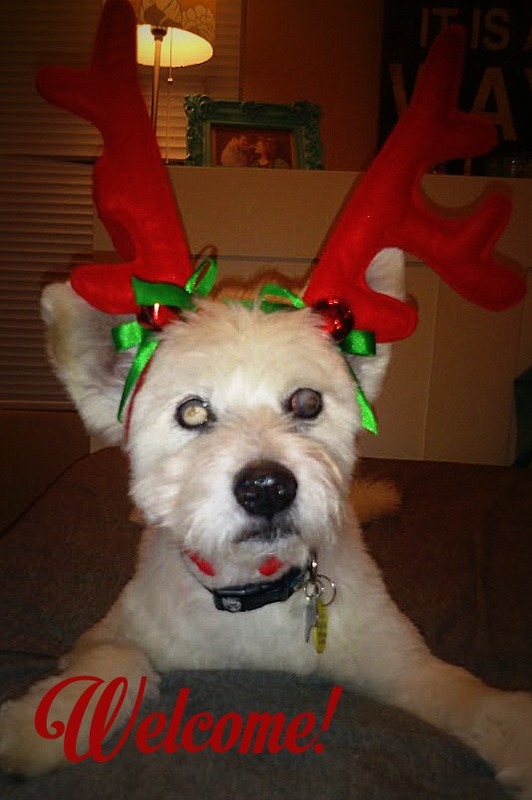 Teddy is such a cute little reindeer!! I love your pages! 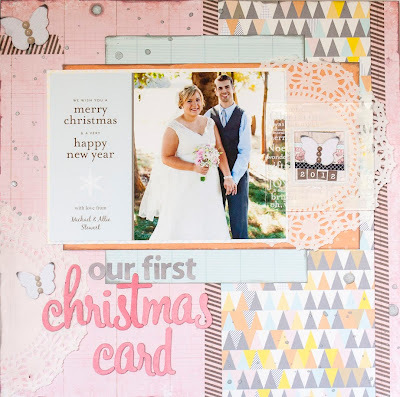 Your Christmas card page is so pretty with the soft colors. The triangles remind me of Christmas trees! Your traditional page is very festive. I love the cut outs with the glitter! Such a great idea. You are so creative and talented and I LOVE your work!! Wow wow wow! These two layouts are gorgeous. I love how you included your Christmas card. So pretty, and such beautiful details. You have given me such a smile, I dont know which is more adorable, your sweet dog or you two in your matching sweaters! So cute!! 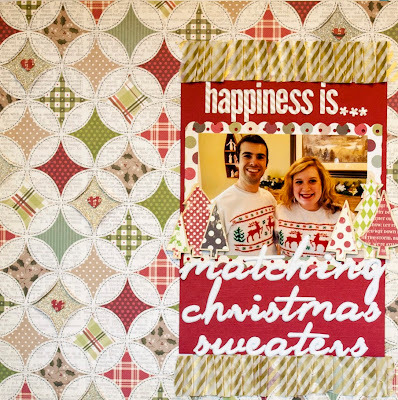 Awesome layouts as always, I love your scrapbooking, Allie! Thanks for joining the fun.